CCKA club member, Hamish Wilkinson (19) has become the youngest ever kayaker to paddle around the island of Ireland. 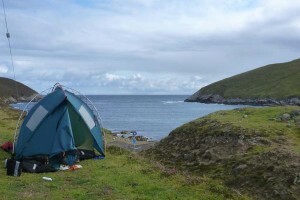 The 19-year-old, who is currently on a gap year, completed his expedition in Aug 2014. 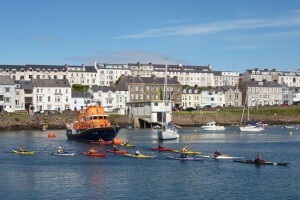 Paddling over 1200 miles, Hamish set off from Portrush on June 28. “It’s good to be home,” said Hamish who lives on the outskirts of Castlerock. “I was paddling for 52 days, but actually away from home for 72 days – so it’s a bit odd to be back to normality,” told Hamish. The teenager elected to support two charities on his expedition – Greenpeace and Action Cancer, and so far he’s managed to raise £1,000. “I’m delighted with the total so far,” said Hamish. Hamish’s father, John runs local business Valkyrie Craft making traditional hand built wooden canoes and paddles, and the boat that Hamish travelled in was made by him and his father in just six weeks. Taking some time out to rest, Hamish says he will start thinking about his next challenge in a few months time. 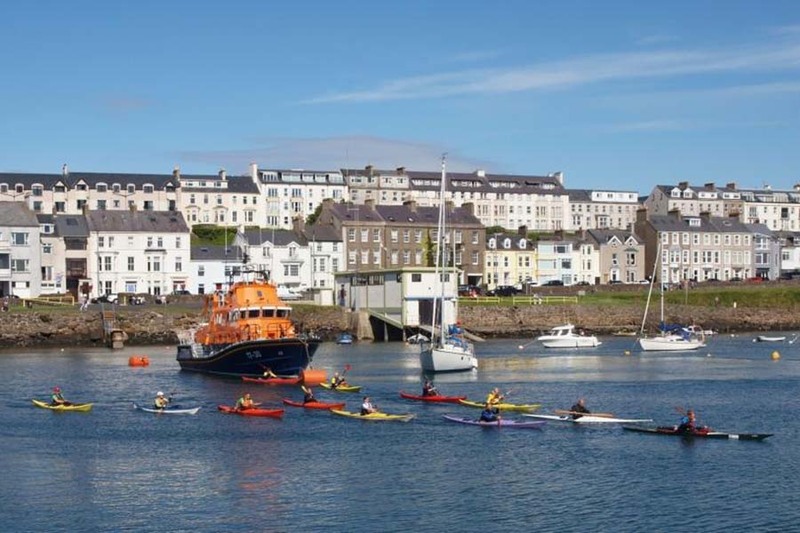 Hamish also became the first to do the circumnavigation of Ireland in a traditional Greenland kayak with Greenland style paddle. In a vote of confidence towards traditional techniques, Hamish built his craft with the assistance of his father John. Known as a ‘Selkie’ this kayak is wooden framed with a nylon skin and bar a few brass and bronze fittings there is no metal screws, fastenings or modern glues and adhesives. 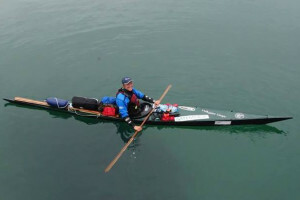 If you are inspired by his adventure, Hamish was fundraising for Greenpeace and Action Cancer. If you would like to make a donation the please follow the links above. 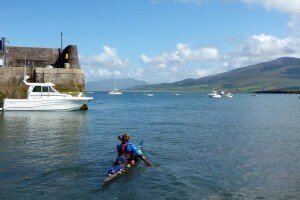 You can find a link to the CanoeNI.com who interviewed Hamish on his return.